Life really seems to go by quickly when you have 2 infants (and a 4 1/2 year old) running chaos around you! 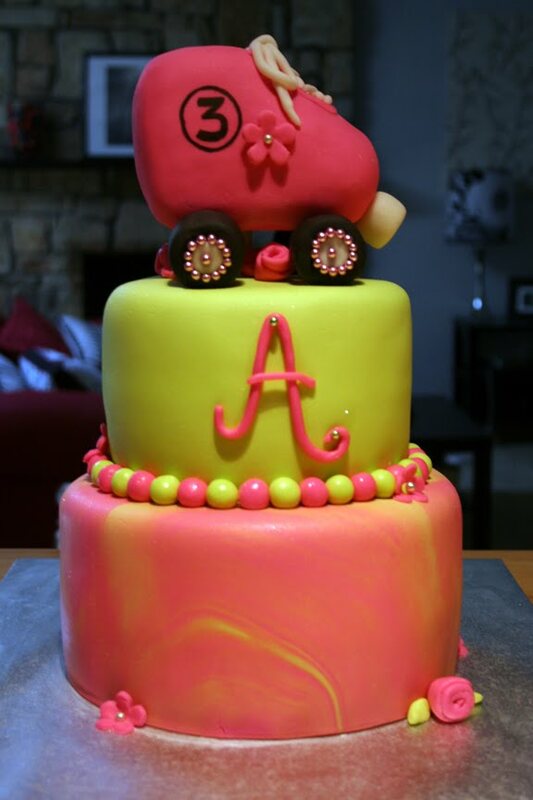 This cake was created for a special little girl's skating party! Love it! The colors were totally girly and I love how the skate turned out. 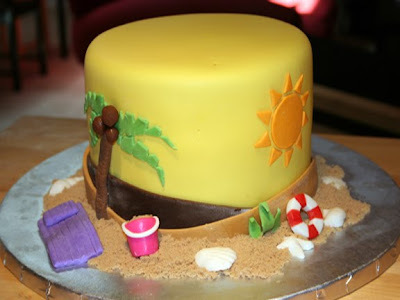 What a fun cake to create! This cake was created to go along with a construction theme for Ian's 2nd birthday party! 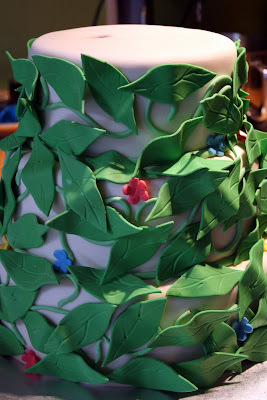 This cake was a lot of fun to work on, especially because we don't do a ton of topsy turvy cakes. The signage matched a lot of the party decor and the trucks matched the invitations! Such a boy cake! 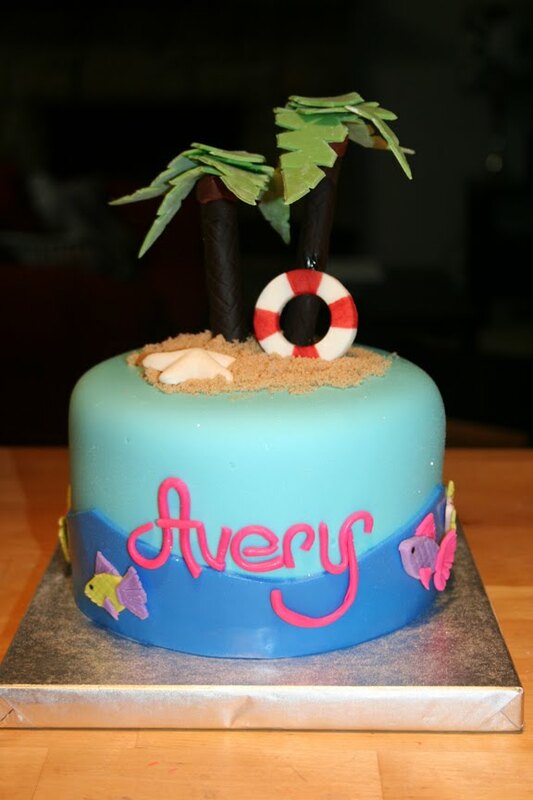 These cakes were made for Avery's 1st birthday party! 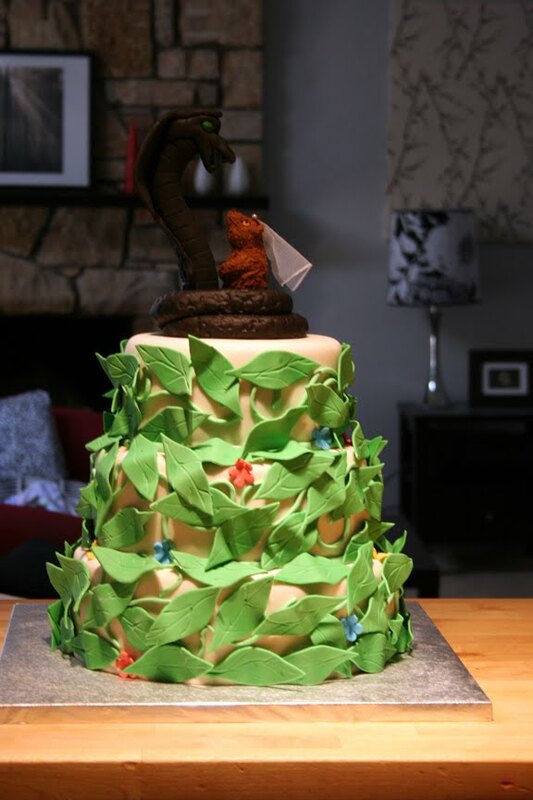 I love how simple the main cake is and how smash cake matched so perfectly. I have so much fun with beach cakes, especially during the summer! This cake was created for a graduation. The client was graduating from UNT with an MBA and wanted a cake that resembled her diploma in a frame/shadow box. 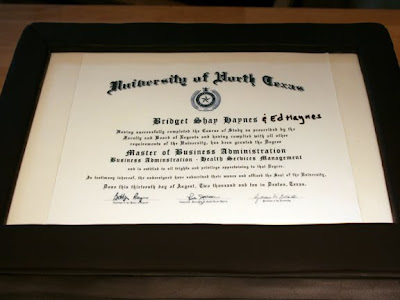 She also asked that we "write in" her husband's name because he'd long joked that his name should be on her diploma when she graduated because of all of the help he'd given her over the years. She thought it would be a funny and cute acknowledgement to him. 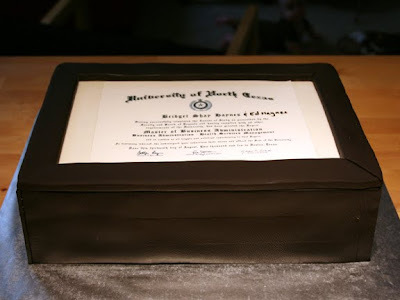 Rodney recreated the diploma in photoshop and then we printed an it as an edible image. I wrote in her husband's name with an edible marker. This cake was created for a baby shower. We were simply asked to make the cake look like the invitation. 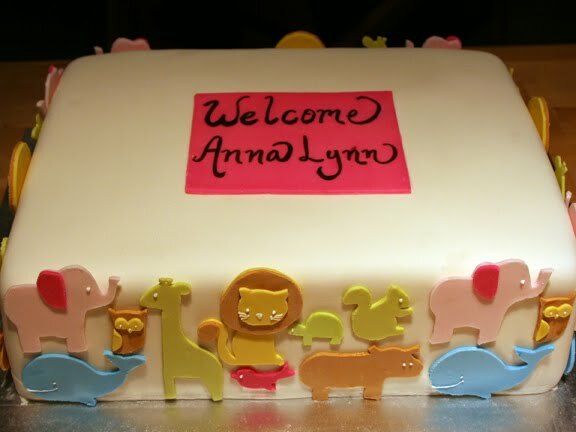 All of the animals on the cake were on the invitation and we placed them on the cake as they were on the paper (the animals formed a border around the outside edges of the invites). Simple but cute! I sooooo love how this cake turned out. When the bride originally came to me with this idea and the sketch, I was a little worried that we wouldn't be able to pull it off. I feel like we absolutely did pull her vision off with this cake though and we are both very proud of it! 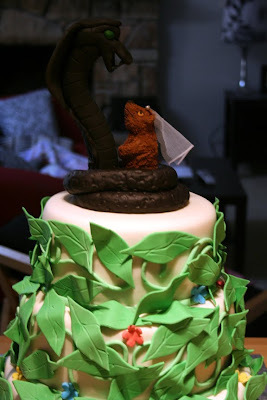 The topper is a cobra snake (with one green and one red eye) and a mongoose with a wedding veil on it. The bride informed me that the concept for the topper came from a long family history of her soon to be husband's. Very interesting and fun story! I was so excited to work on this cake! I love love love the way it turned out. Sorry for the multiple pics, I want you to get the full effect! Next time, I promise not to take so long to update! We have a bunch of projects coming up soon, so hopefully I'll be able to get them up faster! It's about time you updated! Great cakes!
. . . Just stumbled onto your blog. Amazing cakes!